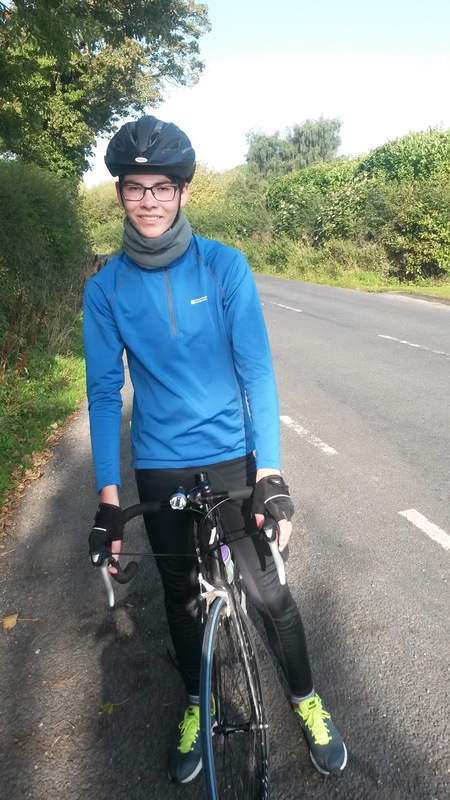 William had an inset day today so we decided to go for a bike ride. 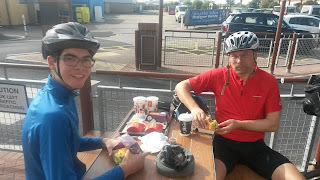 William wanted to do 60 miles but as we needed to be back to pick Luke up from school we ended up doing 53 miles. My legs were giving up on the last stretch so I'm glad we didn't go any further! We set off in the fog but that soon lifted and it was a gorgeous day and really warm. 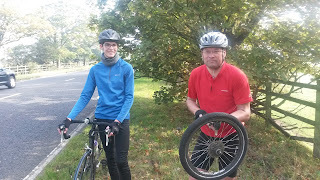 We had one slight hicuup when the back wheel suddenly went flat but luckily there was a large grass verge so we quickly mended it and were soon on our way again. We stopped for lunch at McDonalds in Fleetwood and sat in the sun to eat our lunch. We then rode along the front to Blackpool and then made our way back through Singleton and Elswick. Unfortunately we didn't have time to stop at Bonds for an ice cream but once we had picked Luke up we went to a local farm shop for a well deserved ice cream. 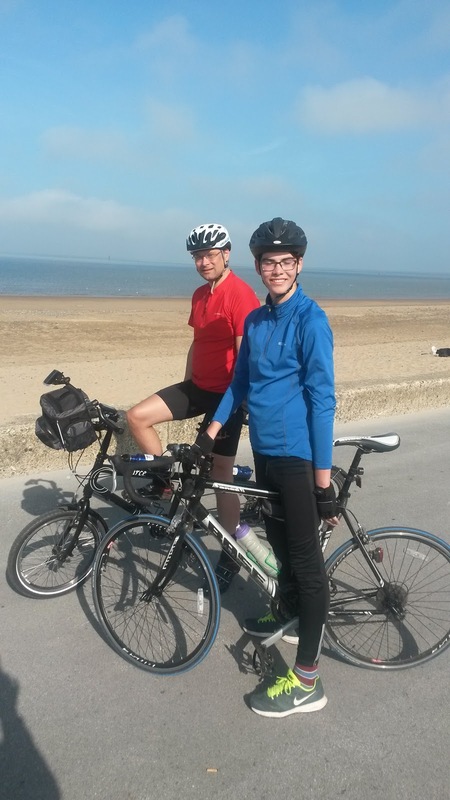 53 miles is the longest ride we have ever done and takes us to over 600 miles since July!